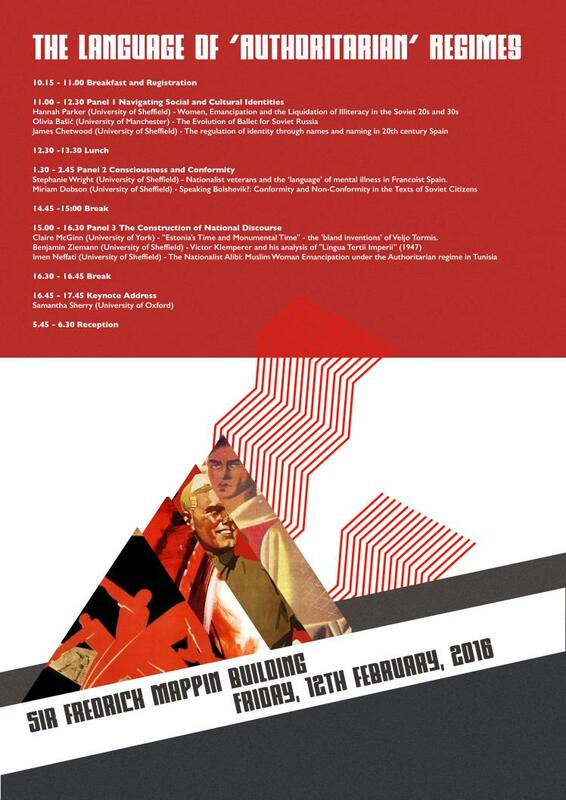 A day long workshop based at the Department of History, ‘The Language of Authoritarian Regimes’ will explore the creation, dissemination and reception of discourse in regimes commonly referred to as ‘authoritarian’. More information will be forthcoming, but if you would like to attend, please register for free here so that we can get an idea of numbers. Alternatively, feel free to get in touch with Hannah Parker (hparker2@sheffield.ac.uk) or Stephanie Wright (smwright1@sheffield.ac.uk).